DesignLine is a presentation innovation. 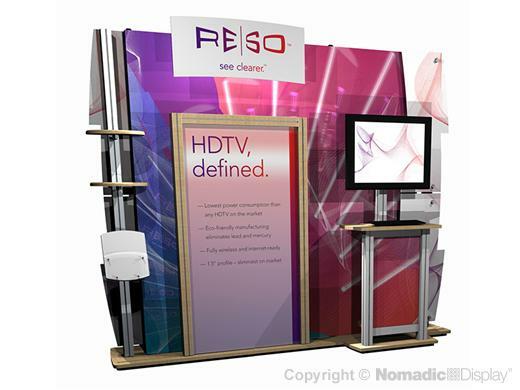 An evolved hybrid solution, it fuses the individual strengths of different product lines into a robust trade show display solution. Our 10' DesignLine models offer the most popular accessory options such as: integrated A/V workstations, layered graphic signage, trade show shelving and brochure holders and vivid trade show graphics.